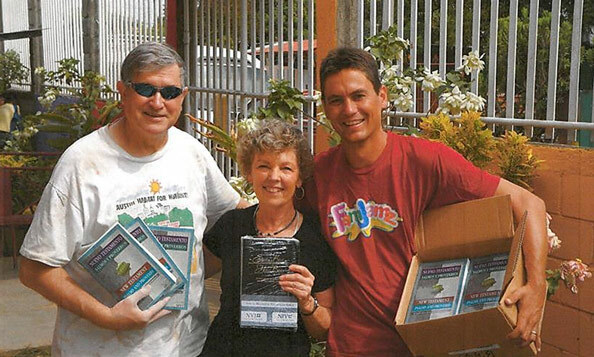 APAI Leading the Way – Austin Samaritans | Alan Plummer Associates, Inc.
Peggy Glass, PhD, a principal at APAI, has been leading Austin Samaritans mission trips to Nicaragua since 2008. Although APAI does not have an official group, employees attend these trips, and she hopes to put a group together in the future. Peggy, along with Alan Davis, PE, PMP, a project manager for the reuse treatment team in the Fort Worth office will make the trip in April this year. They will help to build out a room to serve as a computer lab for a Christian group that operates a pre-school, kindergarten, elementary tutoring program, and, club and scholarship program for high school students called Club Esperanza. Austin Samaritans is a group of people helping to improve the human condition in Nicaragua by serving and assisting churches and non-profit organizations with health, education and rescue. Austin Samaritans does not ‘own’ the programs they support, but rather find people doing work and making a difference, and go alongside them to support their efforts.